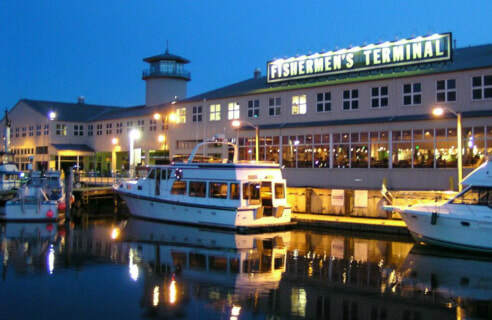 ​You'll find the Seeker on Dock 9 at the historic Fisherman's Terminal in Seattle, just 15 minutes from I-5. If you have any questions . . .
Free parking is available. Please don't park in the lot in front of Chinook's Restaurant. Rent a boat for all your parties.